A well designed slipway with plenty of space to manoeuvre. It is situated right next to the Halte Fluvial. The harbour masters office can be contacted on 0033 5.63.32.01.39. Website: . The use of the slipway is free. 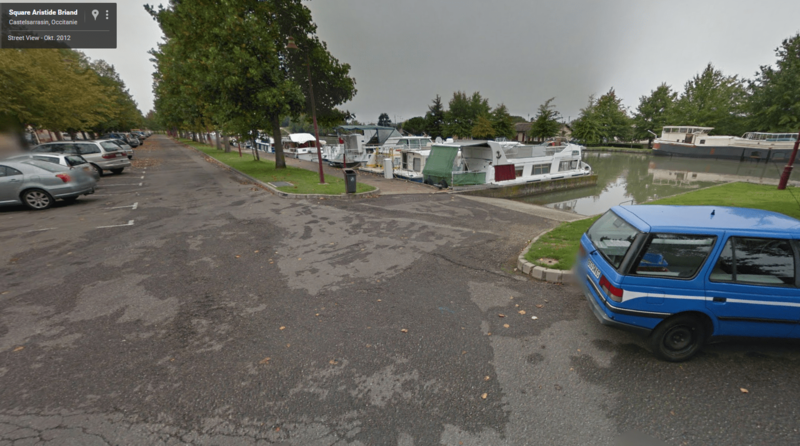 There is plenty of parking on the big square leading away from the canal into town. But as far as we know, there is no secure parking or a campsite nearby.